Check out our official site or follow us on Twitter! 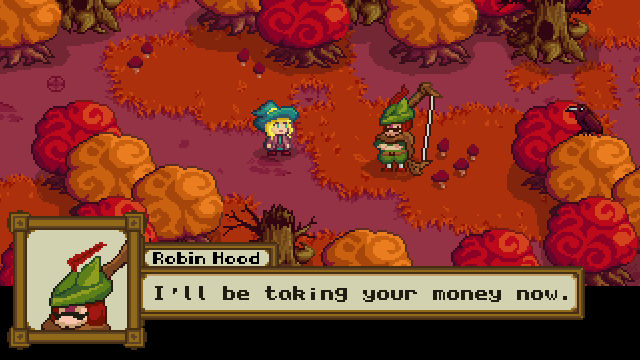 Ignore the sloppy Robin Hood textbox. That hasn't been touched up yet. 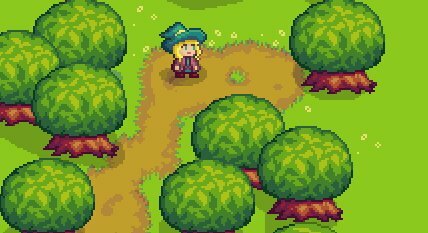 It's been some time since I updated this devlog. I wish I had more to show, but I've been mostly coding the game's various systems. Thanks for the kind words @nospoone . Ignore that Robin Hood portrait, it's still a WIP. 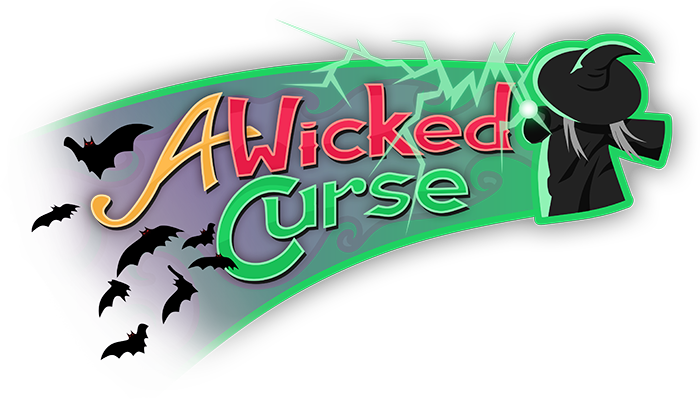 A Wicked Curse is a top-down adventure game set in a small procedurally generated open-world, with roguelike elements, and strong fairytale inspirations. Alongside upgradeable stats and equipment, it features a "curse" system, making each play through unique! As mentioned above, the game includes a curse system in which you eat a cursed apple at the beginning of each run. These curses will alter your current witch, such as making anything she 'kills' turn into a frog, alter a stat or two, etc. Additionally, there should be a full-fledged upgrade system. You will be able to upgrade stats, health, and purchase new equipment which should make each subsequent run a bit easier, and different than the last. I'm working with Fervir, who is also working on his own game, Elysis. Any feedback, ideas, and especially criticism are all greatly appreciated. Follow me on twitter for more frequent updates. 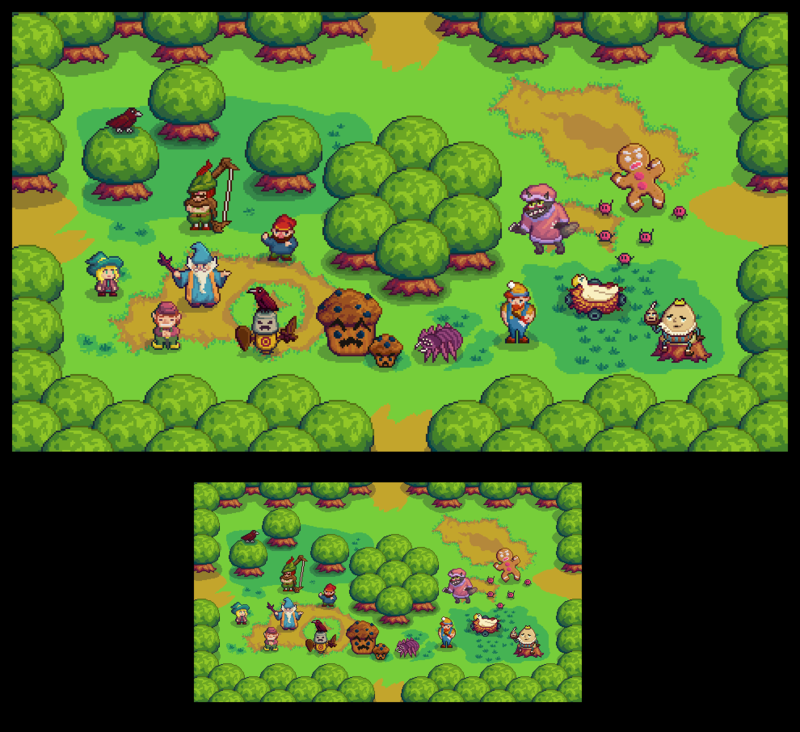 I have a slightly larger devlog on TIGSource, here. I will update this one alongside the one on TIGSource, but if you want to see some of the older posts, have at it.